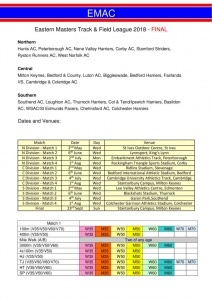 Home » News » EMAC Track and Field League is finalised!! EMAC Track and Field League is finalised! !